Fencing Alabama for over 25 years! At Fence Crafters Alabama, we help protect children, property, and pets! For more than 25 years, Fence Crafters Alabama has been providing quality fences of all kinds to customers in Tuscaloosa and the surrounding counties. We build and restore fences of any variety, from private to ranching, and our unparalleled attention to detail is guaranteed to satisfy. Whether your fences are keeping your cattle in or intruders out, they’re an indispensable part of your home and business. This is why, unlike most building companies, we specialize solely in fencing. We believe these important structures deserve unwavering focus and unadulterated skill. So, when seeking a fence company, Tuscaloosa, AL residents always turn to Fence Crafters Alabama for quality you can count on and service you can trust. Our founders have been building and repairing fences for over 45 years, making us one of the most trusted fencing companies in the state. Our experienced professionals are well trained and known for their innovative techniques when designing the perfect fence to accommodate your needs. We’ve built every kind of fence there is, from ranching to picket to ornamental. We work quickly, carefully and cleanly, leaving your property undamaged and safer than ever. Our professionals are extensively trained in both craftsmanship and safety. We are proud members of the Better Business Bureau and Angie’s List. 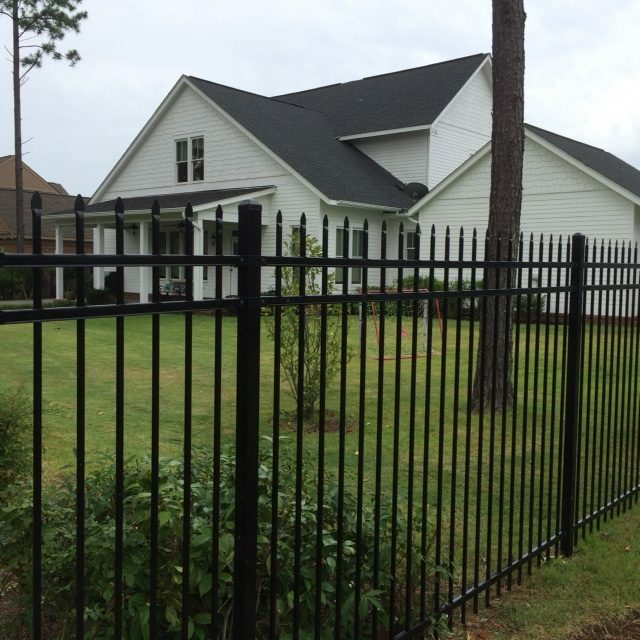 We proudly provide comprehensive fencing service to Tuscaloosa, Fayette, Pickens, Hale and Bibb Counties. We are full service fencing contractors, capable of building and repairing any fences. We provide only superior products and service to give your home or business lasting value.